[130 Pages Report] Geosynthetics are defined as polymeric materials used in engineering applications such as civil construction and environmental protection projects (such as landfill). Generally, the materials used for this are polypropylene, polyethylene, and polyester. Based on physical characteristics and subsequent applications, they are classified into geotextiles, geogrids, geomembranes, geonets, geofoams, geosynthetic clay liners, geopipes, etc. Though there are various types of geosynthetics available in the market, each one performs at-least one or more of the following six basic applications: separation, drainage, filtration, barrier, reinforcement, and protection. The global Geosynthetics market has grown significantly during the past few years and is expected to display higher growth rates in the next five years. The main driver for the Geosynthetics market has been large scale capital projects undertaken by government bodies to improve civic facilities. The report covers the global geosynthetics market in major regions namely Asia-Pacific, North America, Europe, and the RoW. The report aims to study the global market of Geosynthetics for 2013, and project the expected demand for the period from 2014 to 2019. It provides a comprehensive review of major market drivers, restraints, opportunities, winning imperatives, challenges, and key issues in the market. The Geosynthetics market is further segmented, estimated and forecasted on the basis of type and application of geosynthetic materials. We have used various secondary sources such as encyclopedia, directories, and databases to identify and collect information useful for an extensive research on this market. The primary sources are experts from related industries, and suppliers have been interviewed to obtain and verify critical information as well as to assess the future prospects of geosynthetics. Scope of the report: This research report categorizes the global market for geosynthetics on the basis of application, type and geography; forecasting area, value, and analyzing trends in each of the submarkets. On the basis of type: This global market is segmented on the basis of type of geosynthetics: Geotextiles, Geomembranes, Geogrids, Geofoams, Geonets and others. Each product type is further described in detail in the report, from value and million meter square area perspective for each product type. On the basis of application: Road industry, railroad stabilization, water management, waste management, mining, soil reinforcement, erosion control. Each application is further described in detail in the report, from value and million meter square area perspective for each application. On the basis of geography: Asia-Pacific, North America, Europe, and Rest of the World, U.S., China, and Canada. Geosynthetics are widely used in civil engineering, construction industries, environmental applications, and coastal engineering. It has applications in the road industry, railroad stabilization, water management, waste management, mining, soil reinforcement, and erosion control. The market for geosynthetics is projected to reach $15,403.7 million by 2019, growing with a CAGR of 10.99% between 2014 and 2019. North America dominated the geosynthetics market in 2013. Asia-Pacific is projected to gain the major market size by value by 2019. North America dominated global geosynthetics market in 2013, in terms of value. The global demand for these materials is increasing on the back of growing investment by the developed and developing economies in their civic facilities. In addition, geosynthetics applications in the mining, and oil & gas industry are increasing, which will further boost consumption of these products. Geosynthetics consumption growth rate in developed regions was affected in the last few years due to global economic slowdown. However, during the same period, their consumption in the developing region remained strong. Thus, overall consumption of geosynthetic products on global level remained healthy. Though global geosynthetics market is highly fragmented, major players are located in the developed countries. Demand from the emerging markets is likely to remain robust in the coming five years, due to rising awareness about the benefits of geosynthetics. Major players have prominent presence in the developing countries. This report analyzes the global geosynthetic market along with detailed segmentation on the basis of its major types, along with its forecast till 2019. This report discusses in detail, major supply and demand factors affecting this market on the global, regional, and country level. 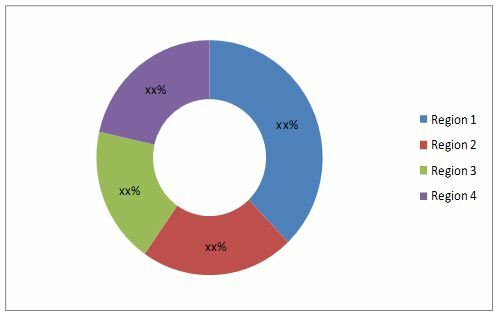 The dominant producers in geosynthetics market are FiberWeb PLC (U.K.), Low & Bonar PLC (U.K.), Propex Global (U.S.), GSE Environmental (U.S.), and Agru America (U.S.). 10.5 Asahi Geotechnologies Co. Ltd.